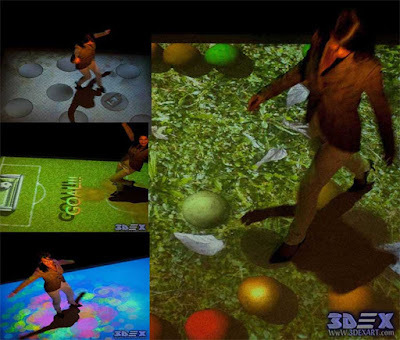 From the first step you get to the projection space in the interactive floor, how the picture comes to life, and then start to change in each movement, as it depends on the interaction with your movement in the change of image or presentation and does not rely on the conservation or recording of scenes and interactions, unique in every movement. Walk on interactive floors back and forth and watch how each time a unique projection image is created in every movement you do. I can shorten all this in that the interactive floor is projection on the ground, the immediate response of the movement of people and walking on the surface where the projection exists. 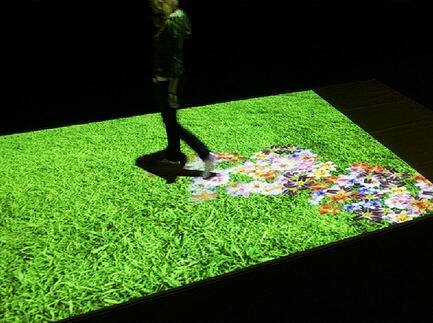 The interactive floor is not only able to interact with one person but interacts with many people at the same time - all actions will influence what is happening in the projection. The biggest advantage is that you can easily install them wherever you want, then just plug in the power and the system is ready for using a certified motion control technology – live view. This does not preclude the fact that there are some important guidelines and advice that developers have mentioned to interactive live and interactive projection systems that should be considered in the installation. We will mention them in detail, but at the outset, we would like to show you this amazing technology more clearly. Where you can use Interactive floors? Today, live flooring and interactive projection systems have become the most popular among the various display systems, their ability to respond to any movement from any person in the interactive projection area where it makes their actions come to life right in front of an image and with high-quality effects. This is impossible! But it surprises and astonishes anyone. But have you asked yourself! How can I use live flooring? How can this advanced technology be used? I can assure you that these modern technologies of interactive display systems are able to enter into many aspects and areas that help us tremendously in our daily lives. 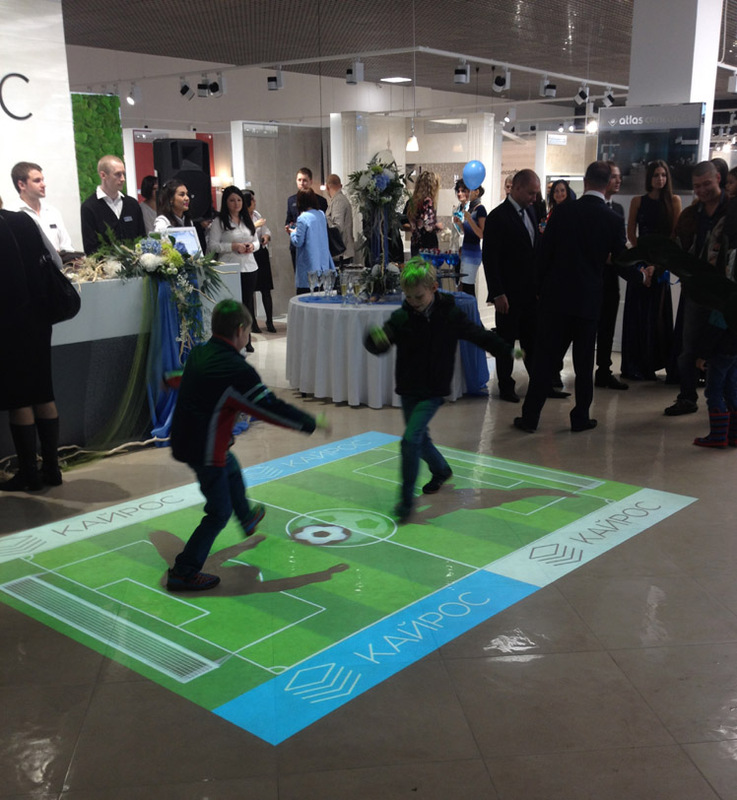 You can use the interactive floor anywhere you need to attract the audience. The interactive floors enable us to easily control the creation of unusual or exceptional interior decor. Recreation, education, and rehabilitation in schools, nurseries and rehabilitation centers for children and adults. Endless uses in the world of business and advertising for companies and large brands. 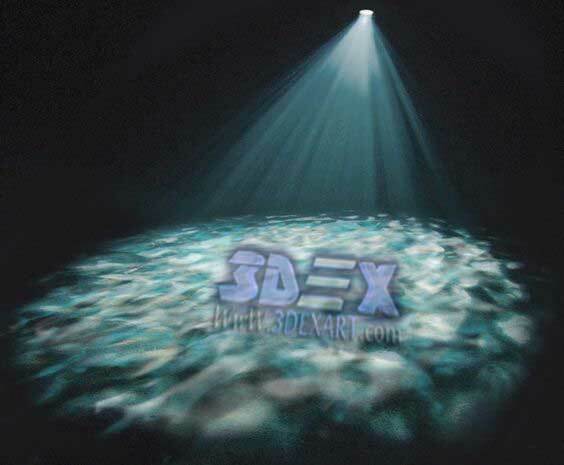 Add various effects to suit all festivals, events, celebrations, presentations, and events as well. Entertainment centers, schools and kindergartens, cinema, shopping malls and shops, Casinos and Nightclubs, Cafes and Restaurants, Airports and Hotels, Exhibitions and exhibition halls, theaters and museums, playgrounds, and also used in the waiting rooms. 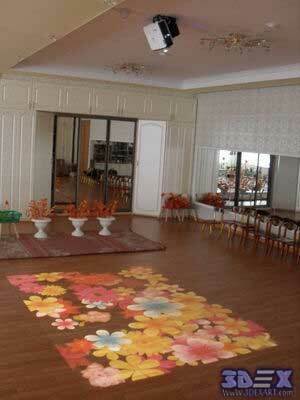 Interactive floors for effective interior design decorations. The installation of interactive floor systems or interactive projection systems is very simple, taking about 30 minutes to two hours. Calibrating and configuring the display system requires a specialized qualification for this, but most manufacturers and developers of live display systems and devices configure the system and prepare it for you in advance, where you only need to play and then customize the effects. The equipment is installed in the ceiling, and the main condition here is to make a good installation of the interactive projection system with a solid base, to avoid any damage or insecurity to the participants, you should check the hardness of the ceiling, preferably concrete, brick, and metal. In addition, good installation of the equipment in this way is not affected by the general design of the room, nor does it cause any inconvenience during use. If you do not have the power to do so, you can install the device in the suspended ceiling, but you must check the safety and durability of the ceiling before installation. During the installation of the projector, you need to determine the brightness of the projector, which depends directly on the intensity of natural light (depending on the power of this particular projector selected). Interactive projection systems help you to create a single interactive floor, and it enables you to combine a device, two or three to create a dual or triple system, allowing you to significantly increase the required projection area. 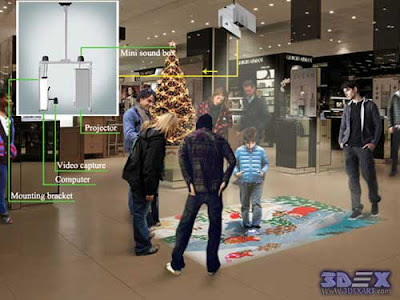 As for the interactive surface and image size, it depends on the height of the interactive floor projector installation. The average surface of the interactive projection ranges from 3.5 m to 2.7 m in width, by installing the projector at a height of 3 meters from the projection floor. The proper or standard height of the projection device is 3: 5 meters, the developers said “The higher ceiling - the greater projection”. It is necessary to speak separately about the place or surface where the interactive projection will be created, i.e. special requirements for covering the ground are not necessary (as in the type, texture, color). 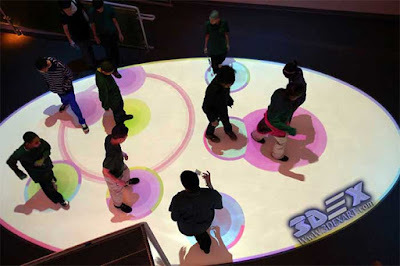 The color of the floor is almost irrelevant because the interactive floor makes you able to fully control the change of colors and effects, not only that but also makes you able to create custom effects. However, the special 3d epoxy paint is only necessary in cases where the minimum color and impact clarity, which may adversely affect the clarity of the display. in order for your projector to create an interactive floor, recommended gluing special wear-resistant laminated covering in white for a textured floor (by the way, it is perfect for the interactive floor at all, as it has a high level of wear). 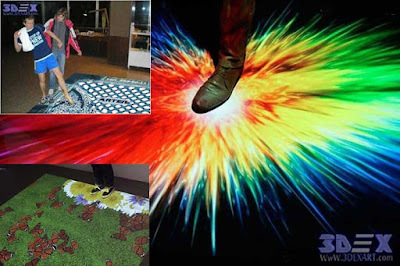 Or use other material to cover the projection surface such as "linoleum, plastic or carpet"
In this way, the interactive floor is ready to be used for all (children - young people - the elderly) without any danger to them from any side. A laptop or desktop computer to which the projector is connected via cable or Wi-Fi. through the web interface, if the projector is connected to the Internet. How to select the quality interactive floor system? One of the most important aspects that concern us all is "the quality of the interactive floor" or “the quality of the interactive projection program”. Can you determine the quality of the interactive floors? Or the quality of the interactive projection device? 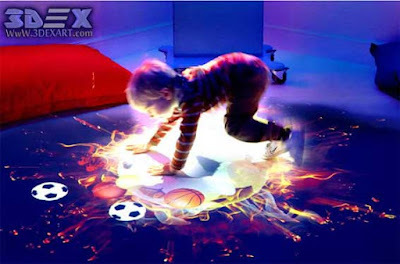 When you search for interactive floor products and interactive projection technology, you often see a one-page site with beautiful images from the Internet (so many) at least describe, clippings YouTube and low cost, etc. We always see web pages filled with interactive floor images with a short description, low-quality YouTube clips, and we have not found enough information to help us determine the quality of interactive floor projection systems. We would like to inform you that the Chinese interactive floor programs do not have a long life and cannot bear water when compared to high-quality programs, which invested a lot of human and financial resources to develop them. 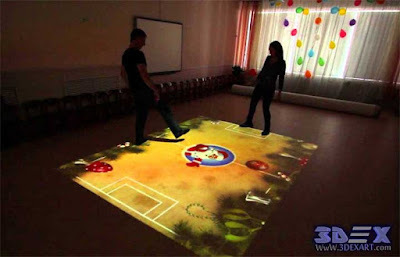 Today, in the markets of systems and programs of interactive projection of floors, walls, windows and other, they provide many amazing offers to sell interactive floor programs at a low price, so you should know the risk of getting any low-quality devices if you are going to buy an interactive floor. We will tell you the break points to be able to determine the level of interactive floor quality and interactive projection software before ordering. You can see the difference now in terms of speed of response to movements. You will see a significant delay in response to movements as the most important disadvantages of low-price programs, leading to a lack of understanding and clarity of the movement significantly. 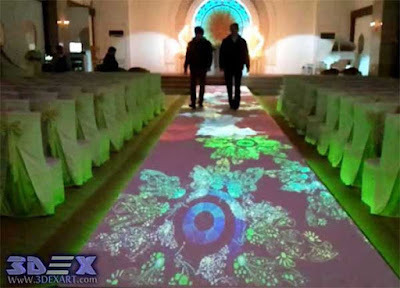 Note: In many interactive projection systems and Chinese-made interactive flooring, they use high-quality effects for the buyer and lure him compared to the price. 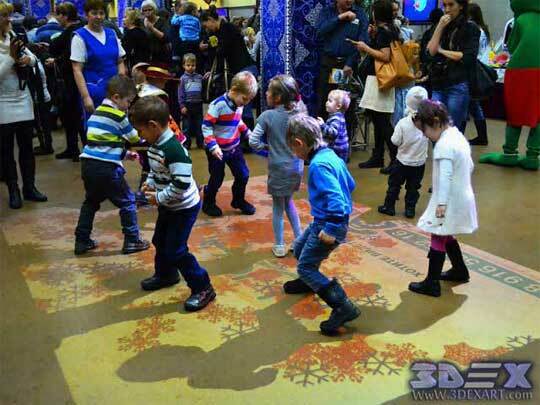 So we'll give you clear ways to easily determine the quality of the interactive floor yourself. The quality of transmission speed of a motion detection camera and post-processing of the signal system produced and used, going on an algorithm developed specifically for accurate and smooth image control in a well-defined sector. 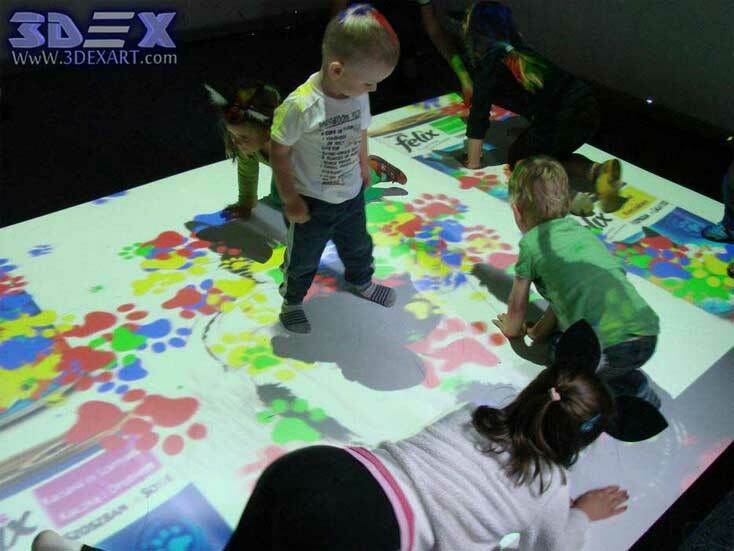 As we mentioned the most important factors that will help you to determine the quality of interactive floors, we will inform you about the prices of the interactive projection system. Interactive floors projector system price & How to buy? When you know the price of interactive floors, you will feel it expensive, but this feeling will go completely when you compare this price to the set of infinite settings and uses of these systems. 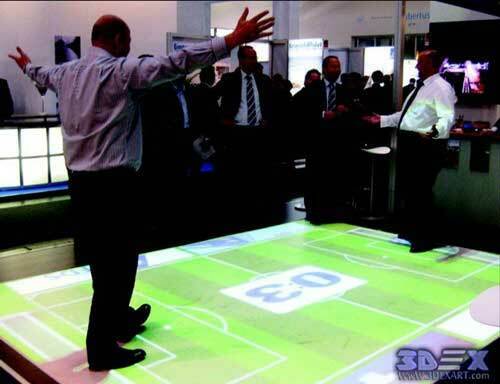 Experts and developers rely on the interactive projection system to determine the interactive floor rate (the cost of devices + the cost of software) to reach the approximate average price. 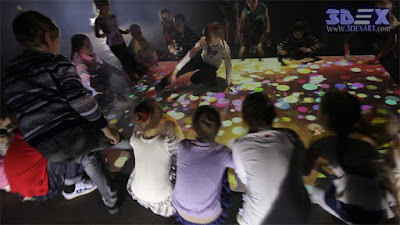 After knowing what is the interactive living ground and the interactive projection system? And what is its size? The most important ideas to use? Besides your ability to determine quality by yourself? How much does it cost? Now you can search for special offers to buy an interactive floor, but let's make it all easier for you. We have brought you the most quality products and the most sought after from the famous electronic stores in one place to choose what suits you. 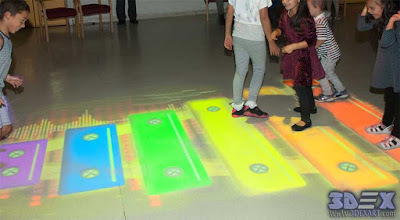 Have you ever wanted to use an interactive floor on your special occasions, but you have not been able to buy them at the moment? It is no longer a problem. 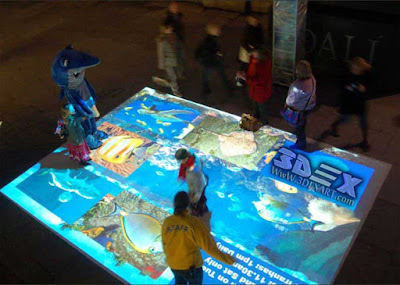 The interactive floor is available to all through rent, an alternative method used by many companies to develop and sell interactive projection systems. In addition, interactive floor rentals are an innovative approach to exhibitions, festivals, events, and children, but they are much cheaper than buying a full set of a live display system for interactive floor work. The company sends the specialists to calculate expectations and to see certain things. They then bring in the required equipment, software and effects, and then install and prepare them for viewing within 2 hours. The effects, offers or alterations of images and trademarks shall be customized as per your request or the purpose of the event or occasion. 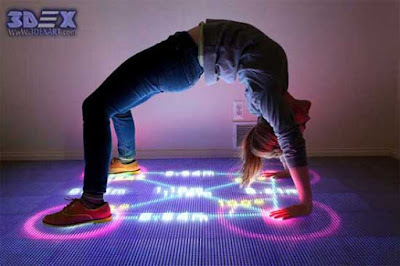 Of course, the interactive floor will evolve dramatically and become more complex and go for more uses than we have seen. Immerse yourself in an unforgettable experience! Imagine that you have a content of completely different nature, let it be your company's logo, product photos, etc. Entertaining videos that are displayed on the floor, and when someone goes to them, they are "alive". Explode, transform, or turn into that someday otherwise. It really surprised almost everyone! Now, with this new technology, it is possible to make your home cozy, unusual and spectacular. Be a resident of this amazing technology and give your perceptions? ?